Last Updated April 9, 2019: Here are answers to frequently asked questions about our fourth game, Hades! 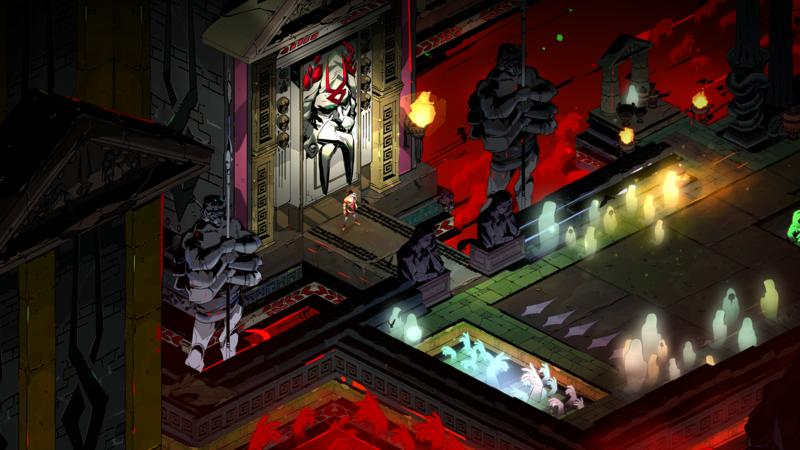 Hades is a rogue-like dungeon crawler from the creators of Bastion and Transistor, in which you defy the god of death as you hack and slash your way out of the Underworld of Greek myth. It’s never the same experience twice: Each time you play, you’ll combine the divine might of various Olympian gods with your own, brave nefarious new challenges, and unravel more of the story featuring our award-winning art, audio, and narrative. Now available in Early Access, Hades is a living game in active development: Expect regular updates introducing new features, events, characters, weapons, powers, environments, and more. Where can I get Hades? Hades is available at www.PlayHades.com, for $19.99 via the Epic Games store, now throughout its development in Early Access. Though the game is a work-in-progress, we think Hades already offers many hours of exciting action and engrossing narrative. We felt it was in an ideal spot for us to continue development in partnership with our players, to help us make it even better. By playing in Early Access, you’ll be able to see the game take shape over time based on our plans and your feedback. We expect to add features, events, characters, weapons, powers, environments, and more, all while fine-tuning every aspect of the experience, for at least a year and a half from our initial launch. During Early Access, we expect to launch major content updates on a regular basis, with the possibility of smaller updates in between. Would I have to buy the full game after Early Access? From the moment we started to imagine the concept for Hades, we’ve been excited to create a game we could continue building and improving once it was in your hands. We think developing Hades in Early Access is key to making it the best game it can be, which is our goal. With each of our previous games, we announced with playable builds available only to a relatively small number of people who attended the events where we debuted those games. This time, we wanted everyone to be able to play our game as soon as we felt it was ready to reveal. More importantly, we think what we can build while taking your feedback into account will be much better than if we were to work in relative secrecy until it was done. What are the game’s minimum system requirements? Hades requires a PC running at least Windows 7 SP1, with a Dual Core 3.0ghz, 4 GB RAM, 1GB VRAM with OpenGL 2.1+ support, and 10 GB available disk space. Why is Hades available only via the Epic Games store? Will it come to other platforms? We’ve never launched a game into Early Access before, and our players have come to expect complete, self-contained games from us ever since Bastion’s debut in 2011. With Hades, we knew we really wanted to create a game we could develop in partnership with the community, and from talking to the folks at Epic, we realized their store would be the perfect place to conduct our latest experiment. Our focus during Early Access will be on making Hades the best game possible. If you’re the sort of player who’s open to and interested in experiencing a game like ours take shape over time, you’ll be able to take part in its journey on the Epic Games store. If you’d prefer to wait until the game is 100% complete, we expect Hades will eventually be available on a variety of platforms, once Early Access is complete. 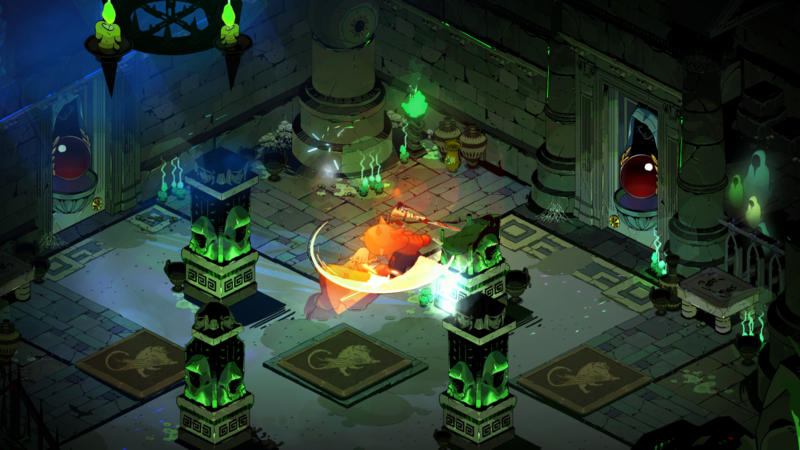 The rogue-like is a cousin of the action RPG genre that put us on the map with our best-selling titles, Bastion and Transistor. Rogue-likes are combat-oriented games where you get stronger as you fight, (almost) inevitably dying at some point, then carrying that knowledge forward into your next randomized run. While Hades is very much an action game, rogue-likes traditionally are turn-based, strategic games -- so, the term ‘rogue-lite' is also sometimes used to describe games that take influence from the genre without strictly adhering to the original format. We love the sense of challenge, player expression, and replayability inherent to such games. 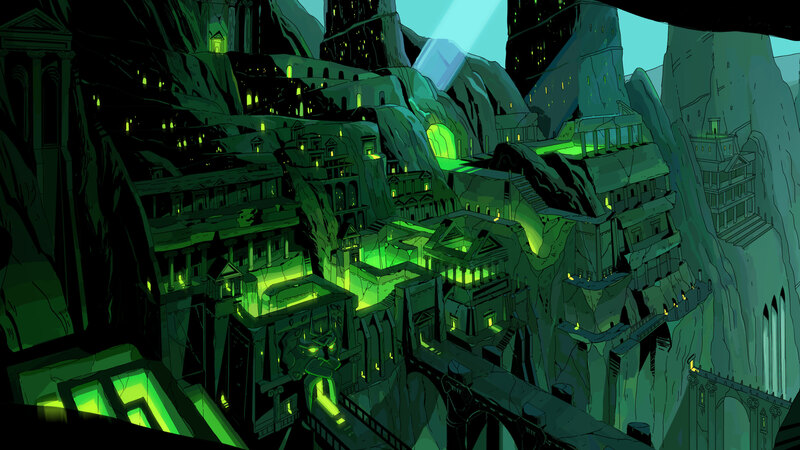 With Hades, we wanted to create our own take on this style, with a real sense of place and story to it, much like how we infused a sense of narrative purpose into the action RPG with Bastion, way back when. Who are you folks, again...? Each of our previous games has earned widespread critical acclaim for their unique synthesis of gameplay and narrative, and for their atmospheric art and audio. The same core team of seven that created Bastion has continued working together through all four projects, now alongside a greater number of talented developers who bring our team size to around 20 individuals. If you experience any problems running the game, have a look in #hades-tech-fixes in our official Discord server, which should help get you sorted. You can also report bugs anytime during the game by pressing the F10 key. 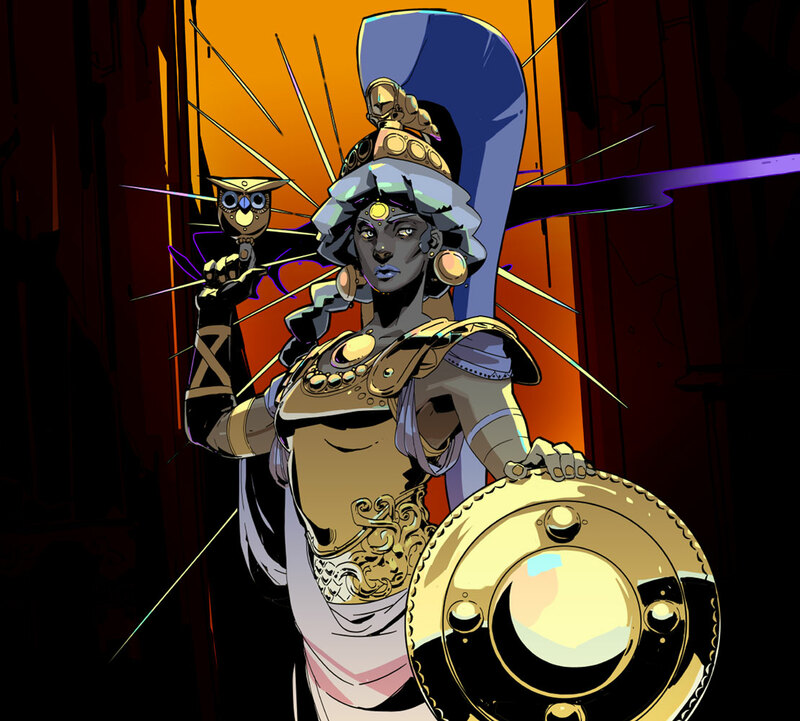 At the time of the Early Access launch, Hades includes English-language text and voiceover only. There is an in-game Languages setting, and menu translations into several other languages, though the game content itself is not localized at this time. We will be looking into our options for localization during Early Access. Hades is a single-player game. We have no plans to add multiplayer, as we have been building the design and narrative with a solo experience in mind. We also invite you to join our official Discord server. There you can chat with fellow players and send us your impressions. We got to work on Hades less than a month after our previous game, Pyre, launched on July 25, 2017. Each time we’ve completed a project, we’ve found ourselves eager to dive into something new. This time around, we wanted to make something that combined aspects of all the best ideas we’d picked up over the course of working on our three previous games: the immediacy and accessibility of Bastion, the rich atmosphere and combat depth of Transistor, and the big and colorful cast of characters and forward-moving story structure in Pyre. Does Hades include DRM of any kind? Music has always been a big part of our games, and Hades is no exception! We’re eager for you to hear the blood-pumping musical score our resident maestro Darren Korb has come up with this time around. The initial Early Access launch features more than an hour of original music created for the game, with more being added in our Major Updates. You can listen to the music free on our YouTube channel or our Bandcamp page. It's also available on Spotify. We expect to have a full soundtrack release available for purchase later on in development. Yes! The game should automatically work with PS4, Xbox, Switch Pro, and other XInput controllers. If you run into issues, try disabling Steam Controller support in Steam. Does Hades support cloud saves? The Epic Launcher currently does not support cloud saves, though this is a feature the Epic Games team is looking into adding at a later date. Your saves will be in Documents\Saved Games\Hades and can be transferred manually if needed. Sure thing! Let us know via our Contact page or Discord.